Ironically, a burglar might be the best one to point out the weaknesses in your home security. 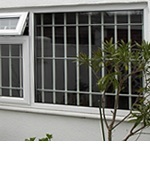 You may feel assured that burglars are less likely to visit your flat or apartment as compared to a detached house. However, it does not eliminate the possibility of you getting burgled. In fact, burglars may be tempted to target blocks of flats due to its ease of access via the communal entrance. Therefore, it is equally important for you to take care of those weaknesses and take the appropriate measures to prevent burglars from infringing your flat or apartment security and damaging your property. First and foremost, it is necessary to have control over access to the building as there are several tenants, and strangers could be easily mistaken for relatives and friends. Visitors should be permitted entry via a remote release option that is linked to an audio-visual or audio only entry-phone to identify them. Visitors should be met personally at the door. The communal entrance should be constantly monitored by a receptionist, concierge or security guard. Yet, rather than counting on your timid apartment security guard at the front desk- armed with a telephone, lets the stranger in without checking their IDs, ignores the log book and CCTVs, and accepts anonymous packages- taking your own safety measures is highly recommended! Burglars tend to target the topmost floors first, to avoid passersby , which means that if you are living in the top floor flats, you need to be more vigilant. Be careful if you live in a block of flats with an entry phone system; do not let strangers follow you in unchallenged. 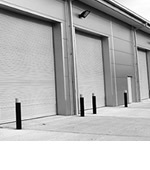 Investing in a sturdy door is a prerequisite but if your main barrier between burglars and your property does not possess this significant characteristic, it is high time to replace or reinforce it with a strong quality door, frame and locks. 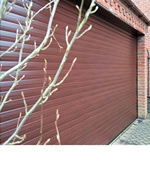 Burglarproof your entrance by installing a solid core or metal door. 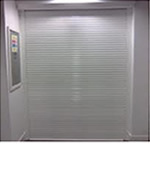 RSG Security offers retractable, collapsible and folding security grilles for additional protection. 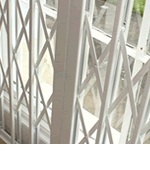 Find out more on our security grilles page. 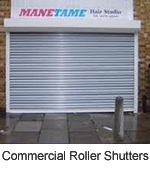 Frames can be strengthened with reinforcing metal strips such as ‘London’ or ‘Birmingham’ bars. An automatic deadlocking facility, a heavy-duty deadbolt, knob-in-lock or a mortice deadlock latch can be useful, while PVCu and aluminium doors are actually equipped with multi locking systems. A remote release lock can be installed as long as the system has a safeguard incorporated, which ensures the lock to be released in the event if a power failure. Always lock your apartment and seek the Fire Officer’s approval for the installation of the above-mentioned. Do not leave your keys lying around or hidden in obvious spots. Windows should also be secured, for both ground floor owners and others, as burglars are no less than Spiderman or Ninjas! Install other inexpensive equipment such as door chimes, or a wide angle peephole to warn you of intruders. 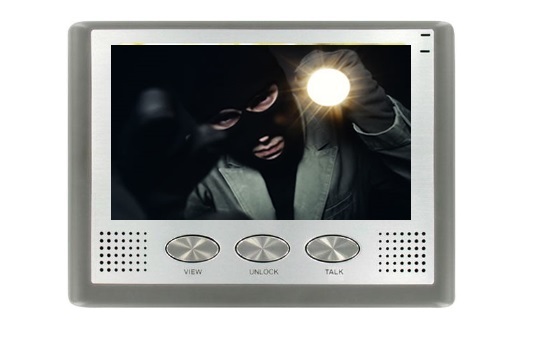 Further indispensable equipment should be installed, too, namely alarm systems with flashing lights, Security Lighting, and CCTVs if they are not already included around your flat or apartment so that burglars can be deterred. 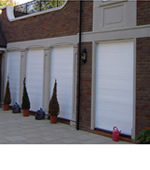 Improve the security within your flat or apartment and ensure that your home is as safe as houses.